Consular Processing is one of two paths an immigrant can take to obtain permanent resident status (green card) in the United States. An immigrant that has received an approved petition and has an immigrant visa number can visit their country's closest United States Consulate Office and apply for an immigrant visa so they can come to the United States as a permanent resident. Consular processing can be difficult to go through alone. Immigration lawyers have a great deal of Consular Processing experience working the United States Embassies and Consulates offices abroad. While immigration lawyers provide quality advice and services via the Internet or modern telecommunications equipment, some are also willing to travel to represent and assist you in person. Consular processing involves complex documentation, which can cost you money and time if completed incorrectly. 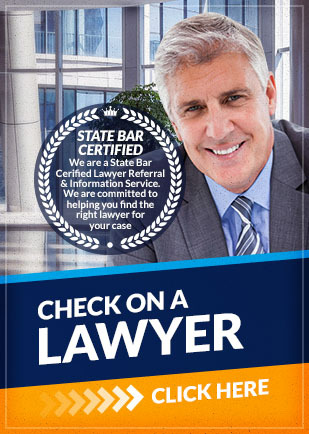 Do not hesitate to contact Attorney Search Network so that you can speak with a lawyer regarding Consular processing. The first step in consular processing is to determine if you qualify into a specific immigrant category. Most immigrants become eligible for permanent residency (green card), a petition filed on your behalf by a family member or employer. Others become permanent residents through first obtaining refugee or asylum status, or through various other special provisions. When you know what category you believe best fits your situation, in most scenarios you will need to have an immigrant petition filed on your behalf. Having an immigration attorney file the petition is most efficient because they can help determine which category you qualify under. U.S. Citizenship and Immigration Services (USCIS) will inform you of a decision. If the petition is denied, the notice will include the reasoning behind their denial and any rights to appeal the decision. If the petition is approved USCIS will then send the approved petition to the Department of State's National Visa Center, where it will remain until an immigrant visa number is available. The National Visa Center will notify applicants when their visa is received and when an immigrant visa number is about to become available. Once the Visa is available the consular office will schedule an interview and following determine if your visa is granted. The consular office will give you a "visa packet" which you must not open, but bring with you and hand over to customs and immigrations officials upon your arrival into the United States. Shortly after your green card will be mailed to you. If you or loved ones already in the United States or overseas need assistance with consular processing, contact Attorney Search Network today for a free lawyer referral.